After tweaking the Alice + Olivia Vogue V1051 pattern a bit more I decided it was time to test the pattern on proper fabric. I didn’t want to use this precious light dark gray wool but I had no other suitable fabric for pants…and I certainly couldn’t go out and buy more: despite my lack of updates I am still on the Stash Diet! Dopo aver fatto alcune modifiche al modello Alice + Olivia Vogue V1051, ho deciso che era ora di fare una prova su della vera stoffa. Non volevo usare questa preziosa stoffa di lana grigia ma non ne avevo altra adatta a dei pantaloni…e non potevo assolutamente andare a comprarne dell’altra: anche se non vi ho aggiornati sto ancora facendo la Dieta della Stoffa! I still didn’t manage to fix the diagonal wrinkles at the back despite using Kenneth King’s Baggy Seat Fix! Any idea what to do about that? Do you think I should decrease the top waistband curve? Non sono riuscita a risolvere del tutto il problema delle pieghe diagonali sul dietro nonostante abbia usato la tecnica di Kenneth King. Avete idee? Secondo voi, devo ammorbidire ulteriormente la curva sulla parte superiore del cinturino? Here is another back view with Orta Lake in the background. Ecco un’altra foto del dietro con il Lago d’Orta sullo sfondo. 1. 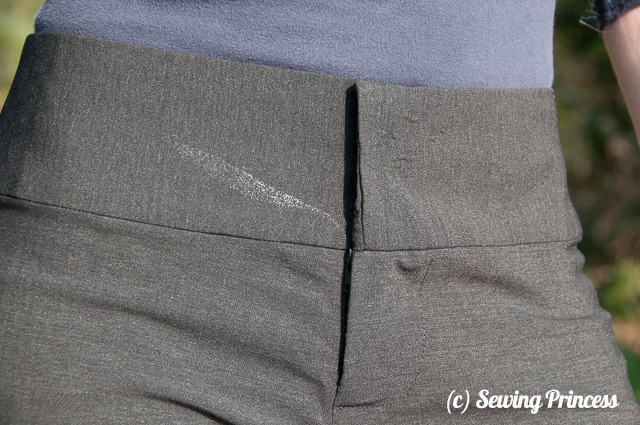 I accidentally ironed some interfacing on the front waistband…and there’s no way to get rid of the glue. 2. And the inner waistband is peeking out: it’s either due to the bulk or to not having sewn the waistband far enough! I am so annoyed!!! I may have to go and buy more fabric to make another pair: can this be allowed during the diet? 1. Ho stirato della teletta autoadesiva per sbaglio sul cinturino…e non riesco in alcun modo ad eliminare la colla. 2. La parte interna del cinturino esce leggermente fuori: non so se sia perché l’ho cucita male o per l’eccessivo volume dovuto alla teletta. Mi scoccia davvero! Credo che dovrò andare a comprare altra stoffa e farne un altro paio: posso nonostante la dieta? 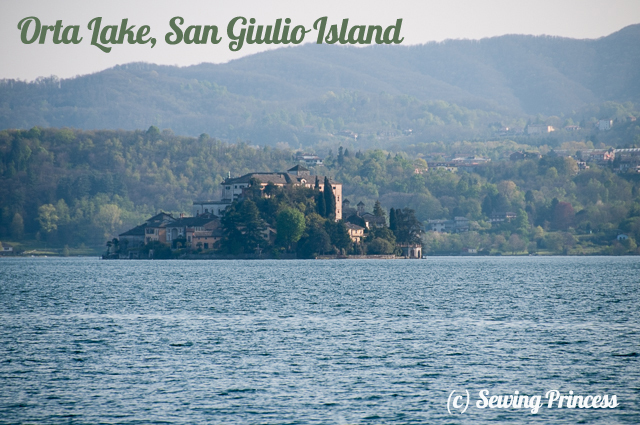 With Easter coming up and Spring breaks I thought I’d show you San Giulio Island on Orta Lake (with birdseye view)…one of the most gorgeous sights in the area the background of one of my first blog posts nearly 4 years ago. E con la Pasqua dietro l’angolo e le vacanze ho pensato di farvi vedere l’isola di San Giulio sul lago d’Orta (vista dall’alto)…uno dei posti più pittoreschi della zona che ho usato come sfondo di uno dei miei primi post quasi 4 anni fa. Lovely pants. I’ve been known to scorch very visible parts of a pattern piece. ..so infuriating! They look amazing and a really good fit. 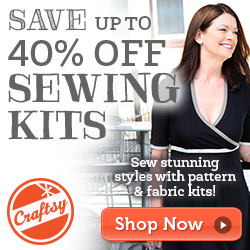 You should definately buy more fabric! Oh no re the interfacing accident! How annoying! I definitely think you should be allowed to buy more. The fit looks great! Re interfacing glue – try a little orange oil it usually lifts most glues. You might have to do it a few time to remove it all. 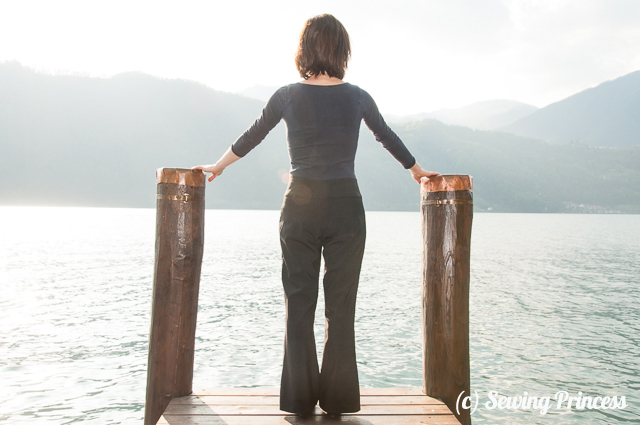 Nice pants, and I adore the photos of the island and lake. Los pantalones son preciosos!! yo pienso que las arrugas en el trasero se pueden eliminar en el patrón, solamente necesitas clavar con algunos alfileres ese exceso de tela, lo que modificará un poco la alineación del patrón espalda, eso sí, en el pantalón ya terminado no tiene validez, solamente en el patrón para usarlo la próxima vez que lo vayas a coser. Aunque creo que eres demasido “crítica” contigo misma! Muchos besos, Silvia. Argh! That’s so annoying. Especially as these are so lovely. I think more fabric is a must! If you can’t get rid of the glue, try to paint it whit same color as the pants. Oh, what a bummer about the glue on the waistband! Well, I’m not sure what your Stash Diet rules were, but I allowed myself fabric for muslin, so if you consider the next go around with this pattern a muslin, then you should be fine, right? Also, you have been making quite a few pieces since January so you must have some credits to your name by now. Unless of course you did not allow yourself credits either? These are gorgeous pants – I think the fit looks pretty darn good, especially if compared to RTW. I haven’t done pants fitting yet, but I have similar problem in the back in RTW, so I’ll also have to figure it out. The back wrinkles look bigger at the inseam than at the side. It almost look like it’s too long & pulling the CB crotch down (don’t know if the dip in CB waist is a design feature or fitting issue). It’s as if the angle of the top portion & the leg portion isn’t quite right. I’d be tempted to try the “Very flat seat” adjustment on this page: http://www.threadsmagazine.com/item/4244/everyone-can-have-jeans-that-fit … Or this version of KK inspired ‘fisheye dart’: http://stitchesandseams.blogspot.co.uk/2001/03/alterations-fisheye-dart-pants.html … on a muslin first of course! Maybe some more well-lit front, back, & side mug shots to help diagnose the problem better? What a bummer about the interfacing accident. How about a tone-on-tone embroidery that covers the mark and makes it look like a design feature? The shape I’m seeing is a fern – like what Kate Middleton wore recently (http://www.express.co.uk/life-style/style/469643/Kate-Middleton-black-dress-with-silver-fern-embroidery-Get-her-look-for-less) – but in a more subtle sophisticated matching gray tone. The design could even mask the peek-a-boo inner waistband! Aww, how annoying to have those mistakes on the waistband on an otherwise lovely pair of pants. They look great on you! Oh no about the glue. Bugger! I hope you manage to get it out or embellish over it…. Do let us know if you do. Otherwise the trousers look pretty jolly great. there’s another (and i think better) way to fix this. this shows the fix as being made in the crotch length, but if there’s no fabric to deduct there, the same procedure can be used just below the crotch seam, at the very top of the leg. pivoting at the outer seam is what makes it happen. i have found it to be foolproof. if this link doesn’t open to exactly the right video, it’s called Pants Fitting and Drafting, April 29th, 2013 and can be found on the archive list.